These easy golden brown potato pancakes are spiced with garlic, paprika and thyme and are perfect to make for breakfast or brunch. Jump to the Spiced Potato Pancakes Recipe or read on to see our tips for making them. 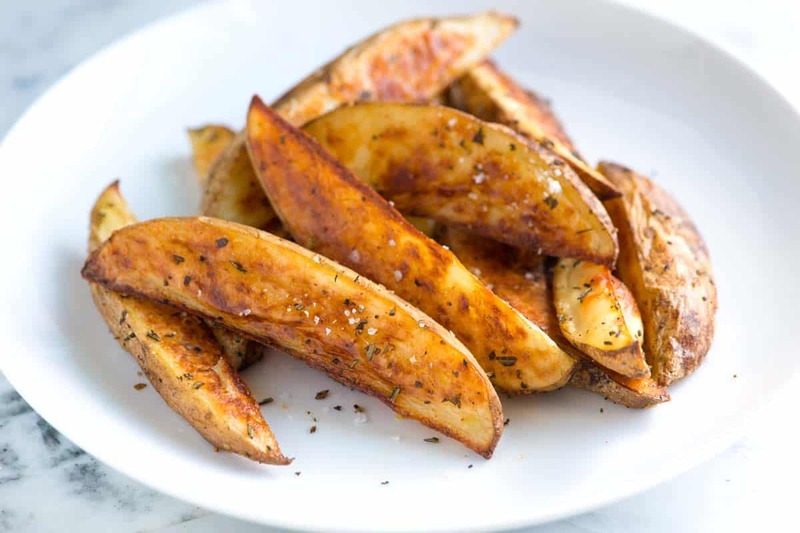 YOU MAY ALSO LIKE: How to make oven-baked potato wedges that are perfectly browned and crisp on the outside and tender on the inside. Jump to the Baked Potato Wedges Recipe. You really don’t need too many ingredients to make these, just potatoes and a few spices. Potatoes have a lot of moisture, which can really hinder that crispy golden brown crust. The secret? Squeeze them dry. Use a clean dish towel to squeeze freshly grated potatoes — see how much liquid comes out? After squeezing the potatoes dry, we toss them with a little garlic powder, dried thyme and sweet paprika, which not only adds flavor, but also adds some color. A little salt and pepper goes in and we’re ready to cook. Add some butter and olive oil to a frying pan then pat the potatoes down into the pan. Cook until golden brown, this will take about 6 minutes. Now that one side is golden brown and crispy, you need to flip. Place a baking sheet over the pan. Then, in one motion, invert the pan. This will allow the potato pancake to fall out onto the baking sheet. Add some more butter and oil then slide the pancake back into the pan. Don’t worry if it comes apart a bit — just use a spatula to press it back together then cook until the second side is golden brown. 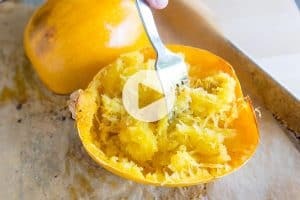 We love eating these as is, especially next to some eggs. Although that is certainly not the only way to eat them. Try adding a spoonful of ricotta cheese and some fresh sweet tomatoes on top. Or, top with some smoked salmon, capers, thinly sliced red onion and a little sour cream or creme fraiche. 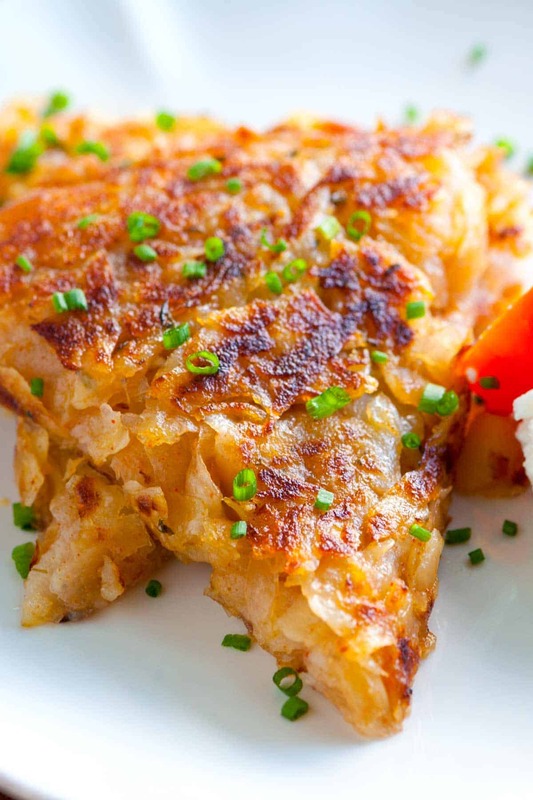 This lightly spiced potato pancake would be perfect for breakfast or brunch. You will need to peel and grate 1 pound of potatoes for this. We love to serve a wedge of the potato pancake with eggs or bacon, but also serve them as the main event with a small scoop of ricotta cheese and fresh cherry tomatoes. Thinly sliced red onions, capers, smoked salmon and creme fraiche or sour cream would be delicious, too. Peel then use a box grater to coarsely grate the potatoes. 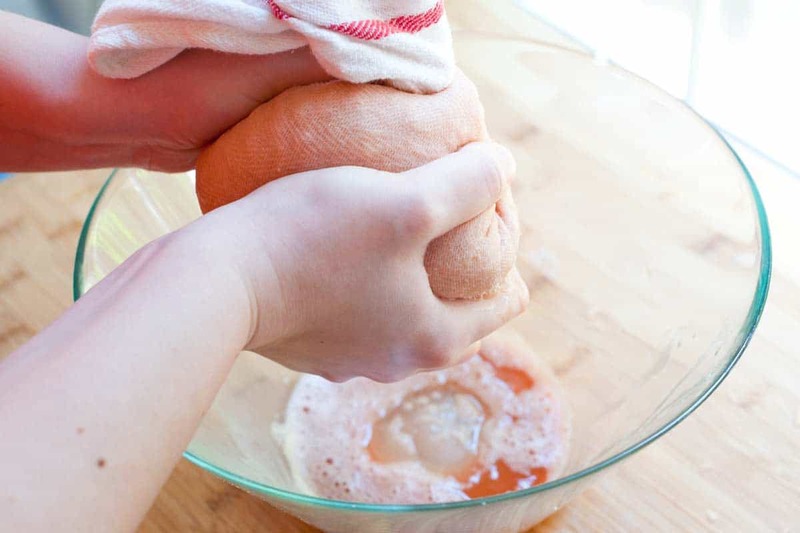 Add them to a clean dishcloth and squeeze dry. Transfer potatoes to a clean, large bowl. Heat a 10-inch nonstick skillet over medium heat for one minute. Meanwhile, add the salt, paprika, garlic powder, and thyme to potatoes and toss well. Add 1 tablespoon of butter plus 1 tablespoon of olive oil to the pan. Let melt, and then add the potatoes. Use a spatula to press the potatoes down. Cook until golden brown on one side, about 6 minutes. 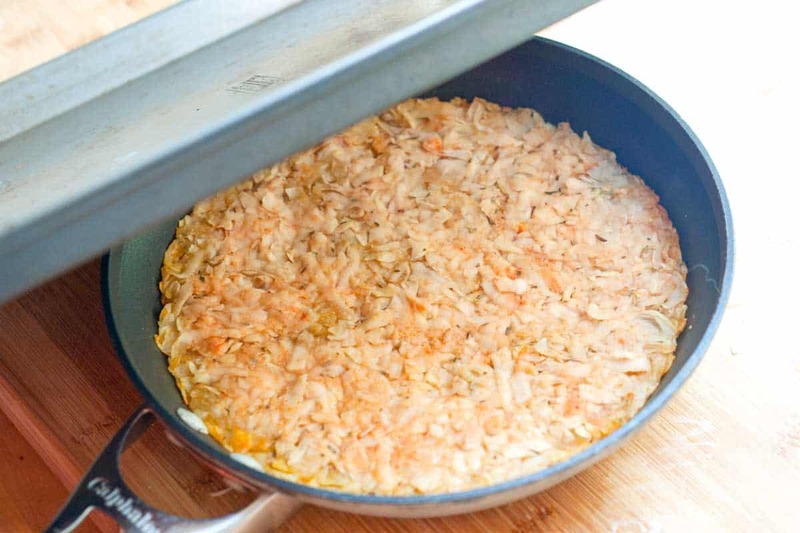 Place a baking sheet over the skillet and, in one motion, carefully invert so that the potatoes fall away from the pan and onto the baking sheet. Add 1 tablespoon of butter plus 1 tablespoon of olive oil to the pan. Let melt, then slide potatoes back into the pan so that the uncooked side is facing down. Use a spatula to press down and cook until golden brown, about 4 minutes. Slide onto a cutting board, cut into wedges and serve with a sprinkle of chives. Try adding an egg and a few table spoons of flour to make real potato pancakes. To get more surface area crispy I like to cook mine as silver dollar size instead of one large congealed mass. Really enjoyed making this for the first time last night. Here in Israel, we’re celebrating Shavuot where the holiday centers around dairy and veggie meals. This was the perfect addition to our Friday night meal. Thanks for the tip on flipping the pancake. I found that the bottom of my cheesecake pan was the perfect fit and used it instead of the baking pan. Super site! Will be checking out other recipes. So happy it turned out for you! 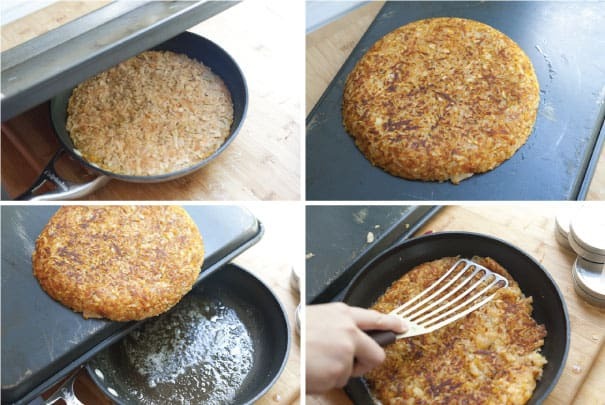 That potato pancake looks nice and golden brown, crispy and good! Delicious! 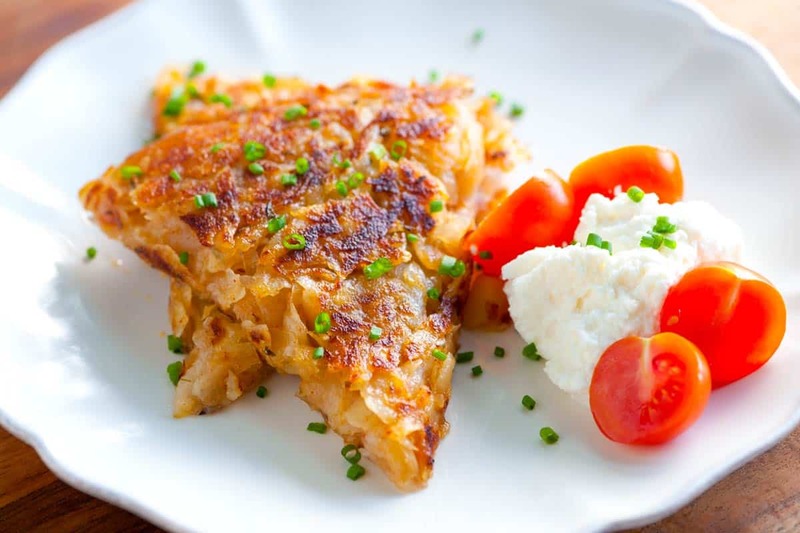 I LOVE potato pancakes, and this one sounds fantastic! after you squeeze out all the moisture, you’ll find a lot of potato starch in that water at the bottom of the bowl that is very useful to add back to the potatoes as the pancake will get much firmer. Also, as I can see, your potatoes got blackened, so you can use a little bit of lemon juice to preserve the nice white color of the potatoes. And lastly, not all potatoes are suitable for pancakes, only the ones that are rich in starch. Unfortunately, to the best to my knowledge they are not very popular in western countries..
Hi Egie — Thanks for all the info! We used a red potatoes and never peeled them, so the color you see is actually just the skin pigment. (We hate peeling). Awesome tip about the starch — We’ll give you suggestion of adding it back to the potatoes next time we make potato pancakes. Think I will try squeezing my frozen hashbrowns. They so often stick to the pan. 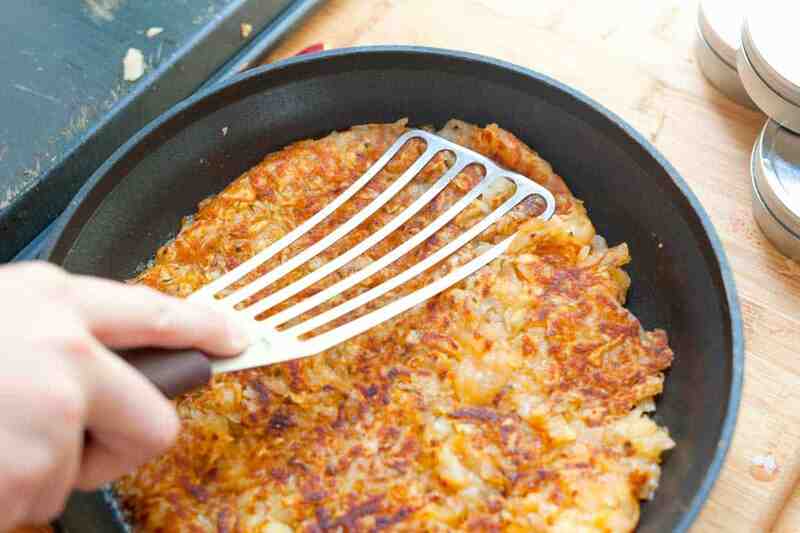 J&A — Do you have a potato pancake recipe using sweet potato? Can it be done? Can you create one? 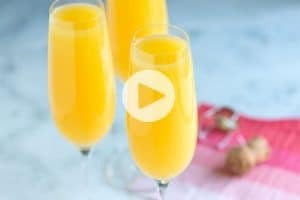 Something with some savory to cut the sweet? Just asking. We eat a lot of sweet potato in our house. They are so good for you. I like to adapt. This looks great, thanks for the tip about drying out the potato. I’ve made potato cakes before and gave up because they didn’t turn out very well. 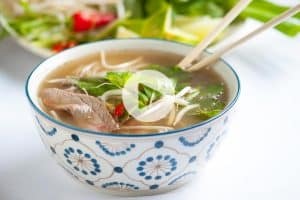 I’m going to make these soon. Yumm these look awesome! 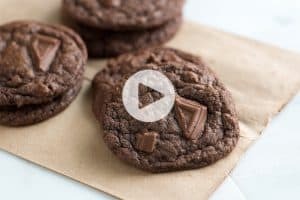 Great flipping technique too…I totally would have tried to flip it with a spatula and wound up with awkward broken pieces!